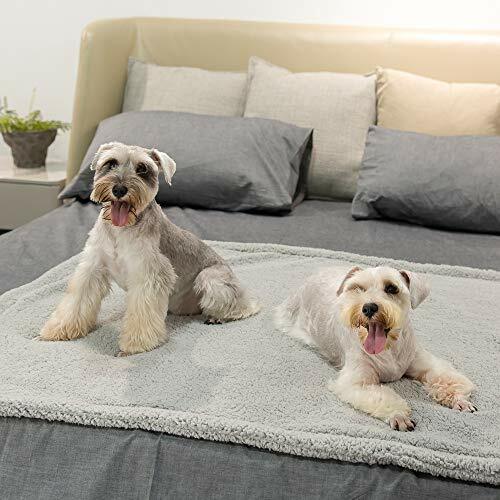 SUPER SOFT THICKNESS – Keep your pets warm and comfortable when offering this Allisandro Pet Premium Double Layer Throw Blanket for their afternoon naps. 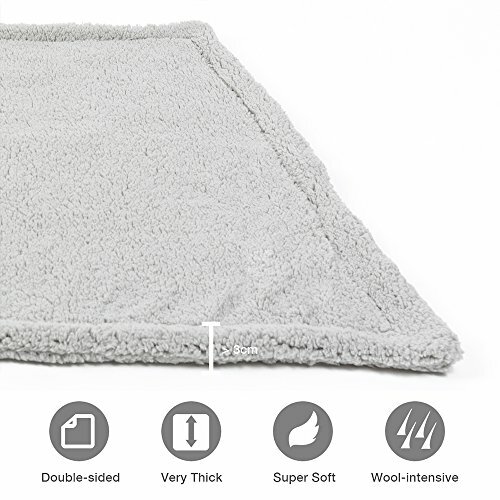 MULTI-PURPOSE BLANKET – Minimize the amount of dog or cat hair in your home when offering your pet this premium throw blanket in his or her kennel or cage. 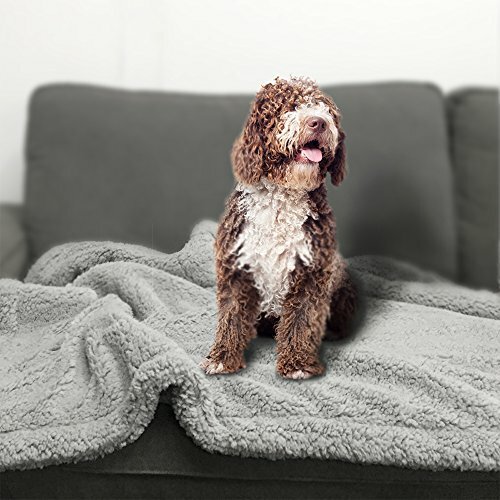 This Allisandro pet blanket is also ideal for placing on beds or sofas to reduce footprints and scratches that could damage your furniture. 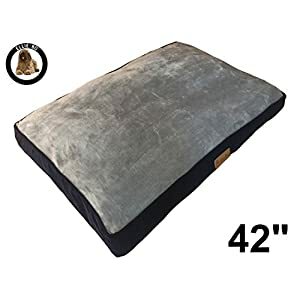 HIGH-QUALITY CONSTRUCTION – This super soft and comfy flannel blanket covers your pet just like you would cover your baby. Wrap your pet in complete warmth when trusting in the high-quality products produced by a pet-loving company. 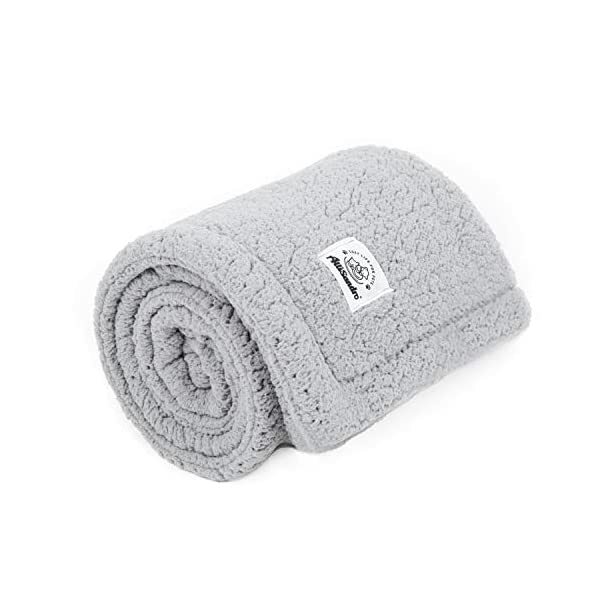 This Allisandro Pet Premium Double Layer Throw Blanket features a soft flannel construction and high-quality materials that are soft enough for babies, but made for cats, dogs, puppies and kittens. Admire the stylish design that is bound to mesmerize your pets, as well as the deep grey color that coordinates with living room or bedroom furniture. 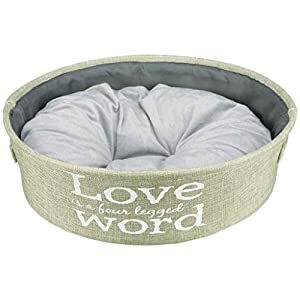 Each pet throw blanket is packaged carefully to deal with the high-quality shape of this machine-washable will have to-have for your dogs and cats. 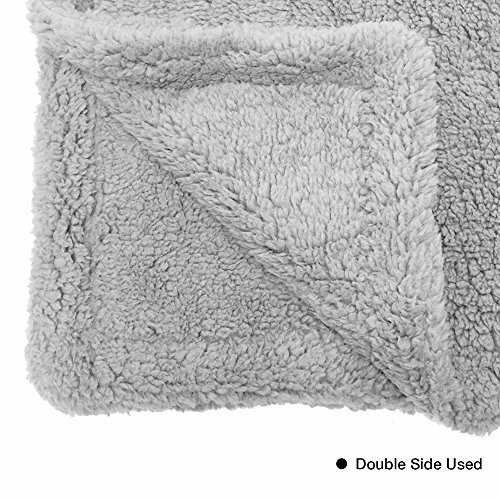 This throw blanket is available in three sizes to accommodate small and large cats and dogs. Allisandro aims to make pet supplies that offer your beloved companion a cozy place to lounge and sleep all over the day. Our customer service is committed to helping you find the best products to properly take care of your pets. You’ll be able to also expect responsive after-sale service. 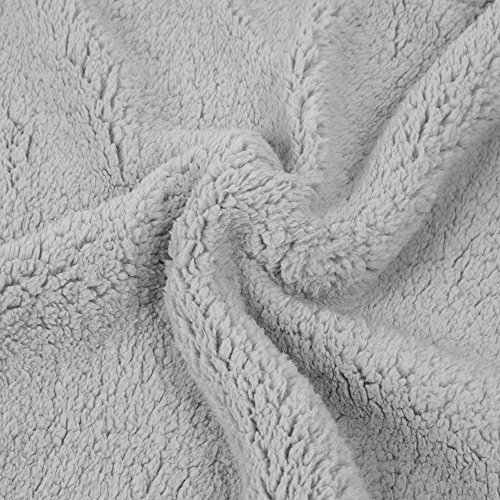 Our first blanket launched in May 2016, and by September of the same year, our experts increased the thickness of each premium throw blanket. By December 2016, Allisandro upgraded the edges of each blanket to prolong usage, in the end utilizing the best raw materials for baby blankets by February 2017. Continually improving the quality of blankets, Allisandro has put full strength into designing, proofing and producing – all efforts that led to provide you with this latest premium pet blanket. Thank you for being part of Allisandro’s growth with strong reinforce and encouragement. We wish you and your pet the best! 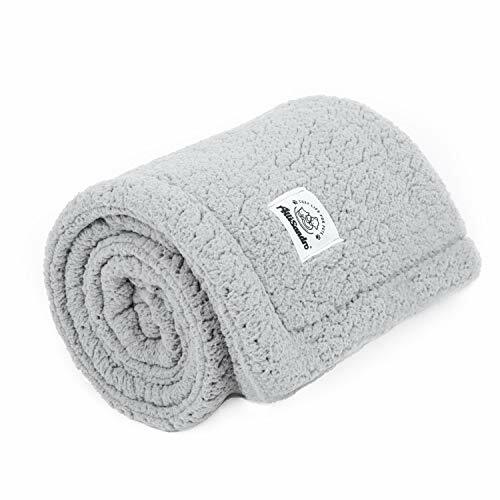 MULTI-PURPOSE BLANKET – Minimize the amount of dog or cat hair in your house when offering your pet this premium throw blanket in his or her kennel or cage. This Allisandro pet blanket is also ideal for placing on beds or sofas to reduce footprints and scratches that could damage your furniture. LARGE SIZE – Wrap your new puppy, baby kitten or grown dog and cat in this pet throw blanket. 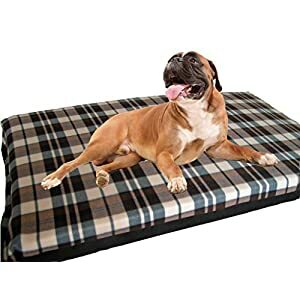 This premium blanket is big enough to accommodate breeds such as Scottish Terriers, Bull Terriers and French Bulldogs. 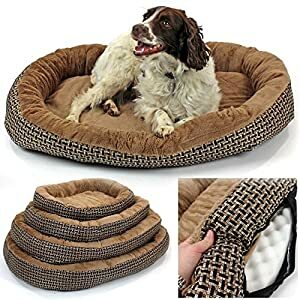 MACHINE WASHABLE – Simplify the process of cleaning up after your pet in case you have this machine washable pet blanket on hand. 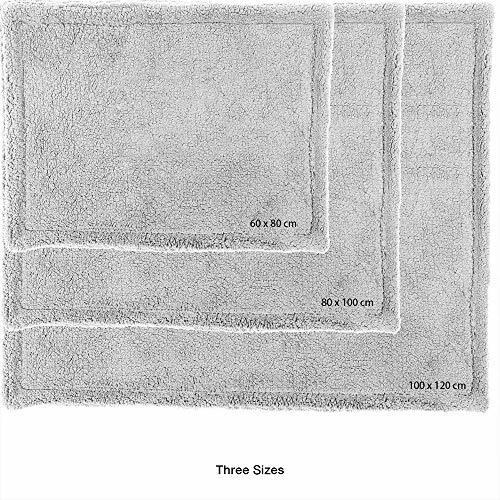 With each machine wash or hand washing, the premium blanket maintains its shape and soft construction.